Home to freethinkers, writers, and intellectuals, Babel Hotel is a beautiful historical mansion that has been newly renovated to maintain its essence as a cultural meeting point. 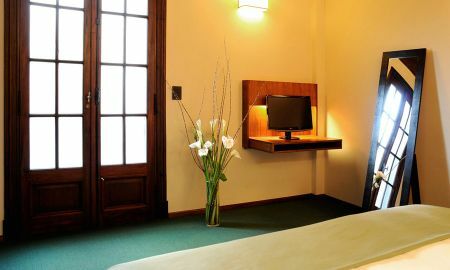 The hotel is located in San Telmo, the bohemian colonial district of Buenos Aires known for its traditional Porteno appeal, authenticity, architecture, markets, shops and above all, the warm character of its people. The nine exquisite rooms are fully furnished and decorated, combining classic and modern styles with high levels of comfort. This luxury hotel boasts a stylish open-plan hall, a courtyard, and a splendid lounge bar where you can relax and sip a delicious cocktail. Casual yet chic in style, Babel hotel is the ideal place to discover the charms of the city and make the most of your visit to Buenos Aires. Guests staying at the Babel Hotel may use the pool of Babel Suites free of charge, situated only 600 metres from the Hotel. 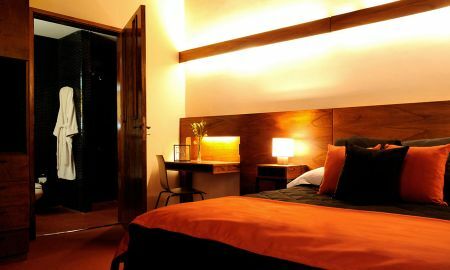 Babel hotel is set in a recently renovated historic building, in the mythical San Telmo neighbourhood, one of the oldest in town. Thousands of locals and tourists gather in the Dorrego square nearby the hotel, particularly on Sundays, to visit its fantastic antiques market, restaurants and coffee shops, or to enjoy a street tango performance.